Willie Edward Lusain, Sr. was a lifelong resident of the Powderly Community graduating from Rosedale High School, Miles College and receiving a Master of Education from the University of Montevallo. He retired after 37 years of service in the Bessemer School System as a teacher and principal of J. S. Abrams High School. Willie Edward "One" Lusain and his twin brother, Willie Joseph "Two" Lusain, served in the US Army 340th Army Band and received an honorable discharge in 1946. 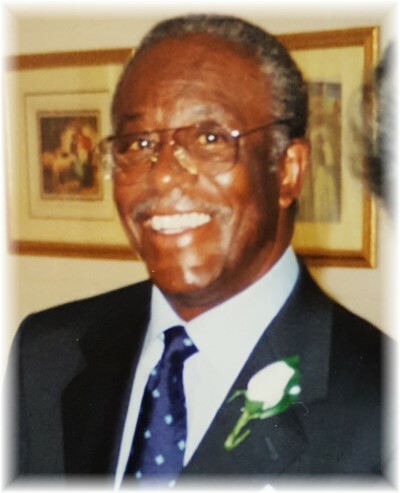 Willie E. Lusain, Sr. was a member of the Vulcan Kiwanis Club and the Gamma Kappa Chapter of Alpha Phi Alpha Fraternity at Miles College. He was one of the first African Americans to work as a mathematician at Redstone Arsenal during his summer breaks. Willie E. Lusain lived a very productive life of 94 years, was a pillar of strength, and Patriarch to five generations. A Family Visitation will be held Friday, March 9, 2018 from 5PM - 7PM at the W. E. Lusain Funeral Home, 629 Goldwire Way SW, Bhm, Al 35211 with a Celebration of Life Service on Saturday, March 10, 2018 at 11AM at the First Baptist Powderly Church, 2801 Dawson Avenue SW.
Condolences may be left here. Professional Services entrusted to W.E. Lusain Funeral Home and Crematory.